The Roads (Scotland) Act 1984 covers depositing mud on the road. Section 95 creates a statutory criminal offence for leaving mud on the road. It is primarily aimed at tackling farm or construction traffic but applies to any individual who allows mud or other material to be carried onto the road. From a Personal Injury point of view, if mud on the road leads to injury, damage to property or any other loss, the person responsible may be liable for damages (an award of money, to be paid to a person as compensation for loss or injury). Being convicted of an offence under the Roads (Scotland) Act 1984 may be relied on in a civil claim for damages. 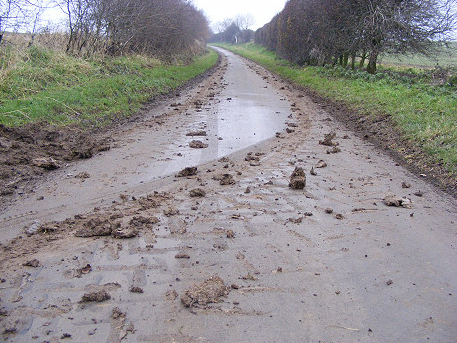 The local roads authority is entitled to take action to clear any mud or other debris from the road. They can even claim all reasonably incurred expenses of having to clear the mud from the person who deposited it there. If a report of mud on a public road is submitted to a local authority, they must do everything that is reasonably practicable to respond to the hazard and clear it. If it can be proven that they did not do everything reasonably practicable and, as a result, someone has suffered injury or loss, then the local authority may be found to have been negligent and will be required to pay damages to the person who has suffered loss, injury or damage.